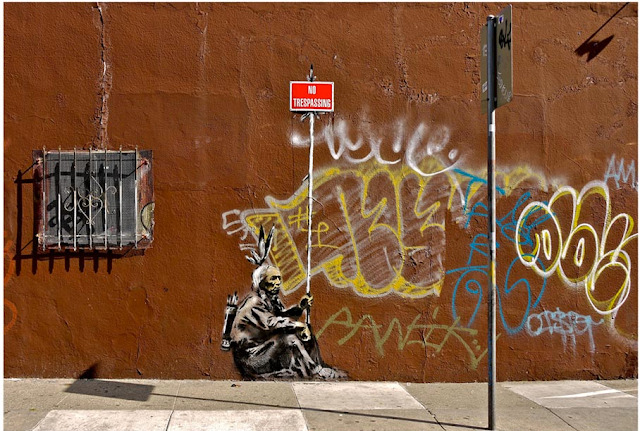 We thought this would complement our recent piece on the appropriation of the Native American through images - this one taking an activist/political stance as Bansky's work typically does. Click the photo to enlarge. Thanks to the Bansky website for the photo - check it out for more thought-provoking art. Haven't seen that one before - he 's one of the best! !